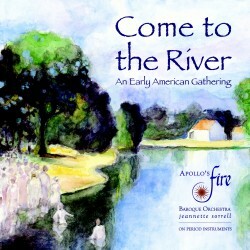 Apollo’s Fire conjures early 19th century rural Americana with Come to the River, an evocative and kaleidoscope journey through traditional folk songs and fiddle tunes, ballades and barn dances, and the indispensable Old Time revivalist meetings. 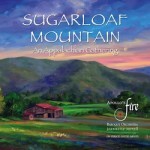 This is music as old as the hills themselves, a melting pot of Irish, English and Scottish tunes which permeated Appalachian culture, and rural America based on field recordings of Old-Time and Appalachian singers. Come to the River was conceived by Apollo’s Fire founder Jeannette Sorrell who first began to identify with this music when, as a teenager, her family moved to the Shenandoah Valley in Virginia, and she landed her first job playing piano for the Greenway Southern Baptist Church. She draws on the expertise of the great folklorists Francis James Child and Alan Lomax, and British immigrant Cecil Sharp. Come to the River features leading vocalists and instrumentalists practicing in the early American folk tradition. 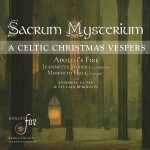 Fiddle, banjo, hammered dulcimer and Irish flute, with cello and harpsichord, back the vocalists’ beautiful, stark, open harmonies and shape-note hymns – tunes that are instantly recognizable and an indelible ingredient in American musical history.